For Sale By Owner properties average 20% less in price, according to the National Association of Realtors. One interesting statistic from the study is one that affects anyone considering selling their home. That is that, on average, selling your home on your own nets you less money. Are you really making more money when selling your home without an agent? The NAR study showed some interesting facts about For Sale By Owner (FSBO) home sellers. One is that only about 9% of the homes sold overall were sold without the use of a licensed real estate agent. The report cited the main reason homeowners decide to sell on their own is that they do not with to pay a fee or commission to a Realtor or broker. Interestingly enough, one more statistic showed that nationwide, the average FSBO home sold for approximately $184,000, compared to $220,000 for a comparable home when represented by a licensed real estate agent. That’s a 20% difference in price! What this says is that selling your home on your own will COST YOU MORE as opposed to hiring a licensed real estate professional to assist you. Using the above numbers, NOT using an agent will cause you to lose $36,000. Okay, even if you hire an agent, and he charges a commission of 6%*, you STILL stand to make almost $23,000 MORE than selling it on your own. *Disclaimer: Realtor commissions ARE NEGOTIABLE, and are not set by any agency, brokerage, or Realtor association. Why should you hire Montemayor & Associates to sell your home. 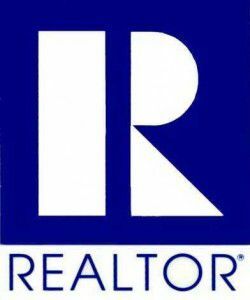 We are a team of licensed real estate professionals who are also members of the National Association of Realtors. Our commitment to our clients are guided by the rules and ethics as laid out by the California Department of Real Estate, as well as the NAR.